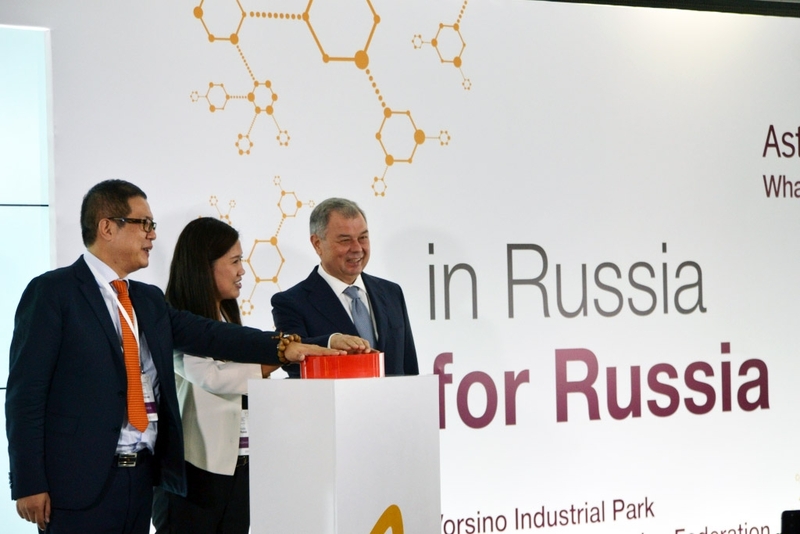 On September 8, international biopharmaceutical company AstraZeneca launched a new high-tech production process at its plant at Vorsino industrial park in Kaluga Region. One of the first drugs to be manufactured on the new line is osimertinib – an innovative targeted drug for treatment of lung cancer. 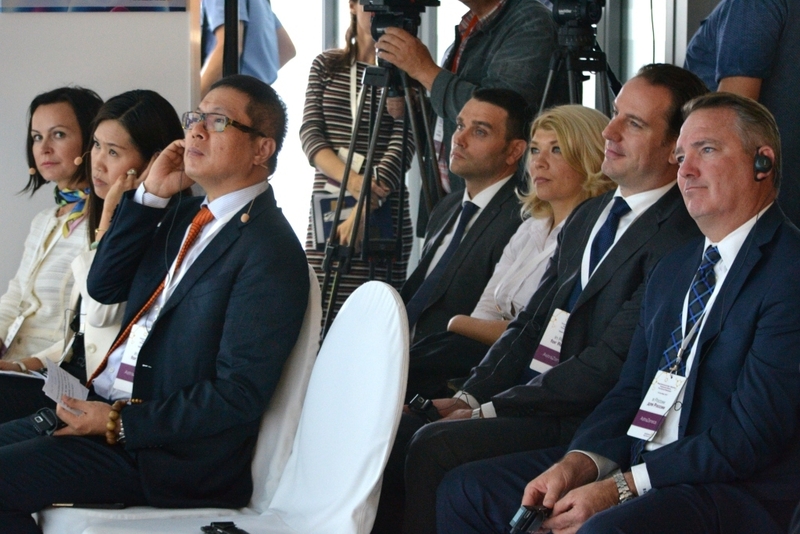 The official opening ceremony was attended by Kaluga Region’s Governor Anatoly Artamonov, AstraZeneca International Division Executive Vice President Leon Wang, AstraZeneca Executive Vice President for Operations and IT Pam Cheng and AstraZeneca Industries LLC General Director Gennady Pyatsky. AstraZeneca opened a plant in Kaluga Region in 2015 having invested $224 million in its construction. Since then, the company continues to consistently develop its local production facility. 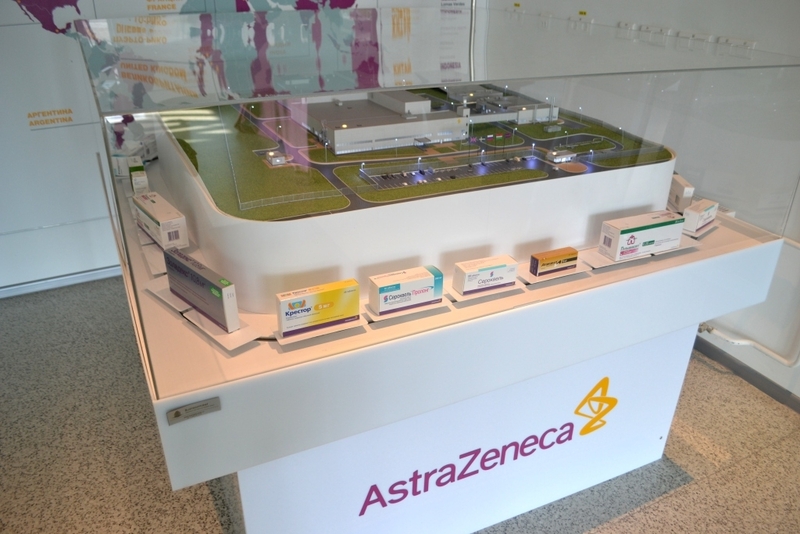 At the official ceremony for the launch of manufacturing of the new targeted drug for lung cancer treatment, the company’s representatives revealed AstraZeneca’s intention to make additional investments of more than 700 million rubles in acquisition, construction, manufacturing, delivery, installation and validation of equipment for its new production line. Commissioning of the new line will allow the plant to manufacture not only osimertinib but also a cardiovascular disease drug, a type 2 diabetes drug and another oncological drug for treatment of lung cancer – overall, up to 3.5 million packages of innovative AstraZeneca medications per year. The current localization schedule expects full-cycle production to be achieved in 2020. AstraZeneca’s plant manufactures over 30 innovative drugs for treatment of oncological, cardiological, gastroenterological, psychiatric and pulmonological diseases. This represents almost 80% of the company’s portfolio in Russia. AstraZeneca Industries LLC General Director Gennady Pyatsky: “Of the 30 AstraZeneca plants, only 3 will be manufacturing the new drug, and the plant in Kaluga is one of them. After commissioning of the new lines, it’s production capacity will reach 40 million packages per year”. It was noted that Russia was one of the key priority markets for AstraZeneca’s operations. The company registered almost 40 original drugs and obtained permissions for their use within the country. One of the company’s key objectives is to make a significant contribution to the formation of an innovative pharmaceutical industry in Russia. AstraZeneca Executive Vice President for Operations and IT Pam Cheng: “We invest in new technologies. The new facilities created at the plant in Kaluga Region meet the most advanced international standards”. AstraZeneca International Division Executive Vice President Leon Wang: “The launch of the new drug, the transfer of technologies is an important landmark in our company’s development in Russia. We are receiving tremendous support both from the federal and regional government. The plant is staffed by high-qualification specialists whose mission is to find new solutions for cancer treatment. The Russian market is a priority. As we continue to expand production capacities, we are also considering exports to other markets”. Kaluga Region’s Pharmaceuticals, Biotechnology and Biomedicine cluster was formed in 2011. In 2012, it was legally formalized as Kaluga Pharmaceutical Cluster nonprofit partnership (NP KPC). Its specialization is preclinical and clinical research, development, synthesis and introduction of pharmaceutical and radiopharmaceutical agents, industrial manufacturing of finished pharmaceutical products and substances, infusion solutions and prenatal nutrients. Kaluga’s pharmaceutical cluster consolidates major international and Russian pharmaceutical concerns (Chemopharm, AstraZeneca, Nearmedic, Novo Nordisk, STADA CIS, Berlin-Chemie/Menarini), medium and small innovation companies, leading scientific research and educational centers – more than 60 participants overall. Growth of production volumes at pharmaceutical cluster plants considerably exceeds the growth of the Russian market of medical agents and growth of all other economic sectors in Kaluga Region. In 2016, production volume exceeded 27.5 billion rubles. By the end of 2017, the figure is forecasted to reach 35 billion rubles. The region’s pharmaceutical plants manufacture almost 150 products, with a potential to introduce several dozen more. More than 80% of Kaluga pharmaceutical cluster’s output is finished medical drugs. The cluster’s strategic goal is to be a top three Russian pharmaceutical cluster by market share. According to forecasts, by 2020 the cluster’s share is expected to reach 10-12%. In October 2016, Kaluga’s pharmaceutical cluster became a participant of the Ministry of Economic Development priority project “Development of innovative clusters – leaders in world-level investment attractiveness”. According to results of an expert evaluation performed in 2015 by the European Secretariat for Cluster Analysis (ESCA), of 750, only 5 Russian clusters qualify for the bronze Cluster Excellence certificate. Among them is Kaluga’s pharmaceutical cluster that received the highest rating in the Health and Medical Science group. The assessment of operations was performed by comparison with 19 leading European clusters of relevant specialization. At the partnering forum Meet in Italy for Life Sciences that took place in early November, Kaluga’s pharmaceutical cluster and C.H.I.C.O. (Cluster of Health, Innovation and Community), one of Italy’s biggest clusters, signed a cooperation agreement that assumes collaboration in a number of priority directions, including exchange of scientific research experience, implementation of joint projects, development of technologies and production of original pharmaceutical substances.